"On the Other Side of Freedom reveals the mind and motivations of a young man who has risen to the fore of millennial activism through study, discipline, and conviction. His belief in a world that can be made better, one act at a time, powers his narratives and opens up a view on the costs, consequences, and rewards of leading a movement." --Henry Louis Gates, Jr. In August 2014, twenty-nine-year-old activist DeRay Mckesson stood with hundreds of others on the streets of Ferguson, Missouri, to push a message of justice and accountability. These protests, and others like them in cities across the country, resulted in the birth of the Black Lives Matter movement. Now, in his first book, Mckesson lays down the intellectual, pragmatic, and political framework for a new liberation movement. Continuing a conversation about activism, resistance, and justice that embraces our nation's complex history, he dissects how deliberate oppression persists, how racial injustice strips our lives of promise, and how technology has added a new dimension to mass action and social change. He argues that our best efforts to combat injustice have been stunted by the belief that racism's wounds are history, and suggests that intellectual purity has curtailed optimistic realism. The book offers a new framework and language for understanding the nature of oppression. With it, we can begin charting a course to dismantle the obvious and subtle structures that limit freedom. 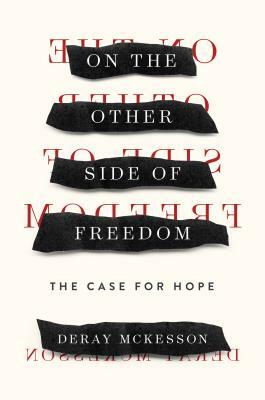 Honest, courageous, and imaginative, On the Other Side of Freedom is a work brimming with hope. Drawing from his own experiences as an activist, organizer, educator, and public official, Mckesson exhorts all Americans to work to dismantle the legacy of racism and to imagine the best of what is possible. Honoring the voices of a new generation of activists, On the Other Side of Freedom is a visionary's call to take responsibility for imagining, and then building, the world we want to live in. "By turns lyrical reflection and practical handbook, On the Other Side of Freedom reveals the mind and motivations of a young man who has risen to the fore of millennial activism through study, discipline, and conviction. His belief in a world that can be made better, one act at a time, powers his narratives and opens up a view on the costs, consequences, and rewards of leading a movement." "A poetic, passionate, and deeply personal book." "DeRay McKesson offers a theology of hope that can be understood and embraced even by people who are not religious. . . . I would recommend this book to anyone who wants to understand why this movement resonates so deeply with so many, especially if you disagree with it." "Mckesson breaks down the physical and emotional labor of activism and the continued importance of telling truth to power . . . each theme as potent and nuanced as the next. An excellent selection for socially conscious readers, young activists, and researchers interested in the cross-section between activism and social media."